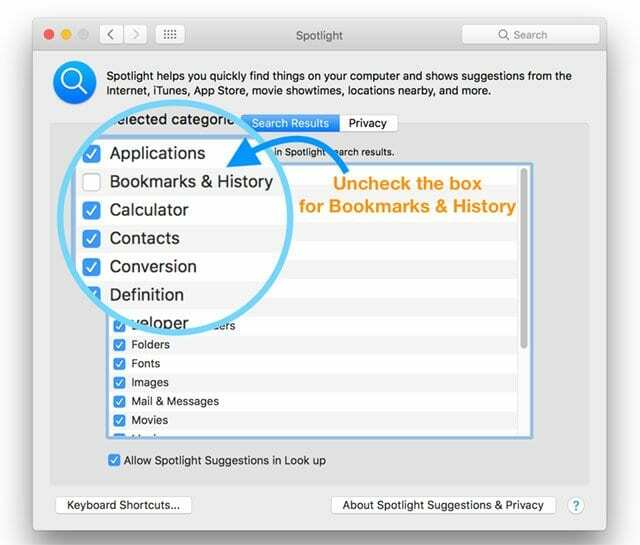 Spotlight Search function works well most of the times on our MacBook. The only time we have experienced issues with the Spotlight function is following an upgrade. 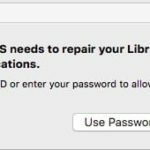 Some users who recently upgraded their MacBooks to macOS Sierra and High Sierra have noticed that the search does not yield the right results. The results do not seem to change irrespective of the search query. 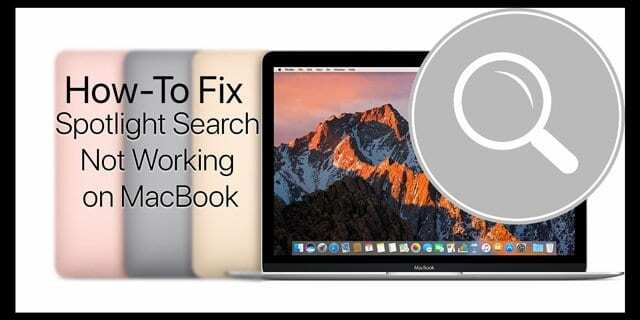 If you are experiencing issues with Spotlight Search on your MacBook, your best course of action is to try re-indexing and see if it solves your problem. Before you proceed to re-indexing, it is important that you review the feature availability by region. Spotlight search features such as suggestions and Natural Language search are only available in limited regions. Check below to see if your country of use qualifies. 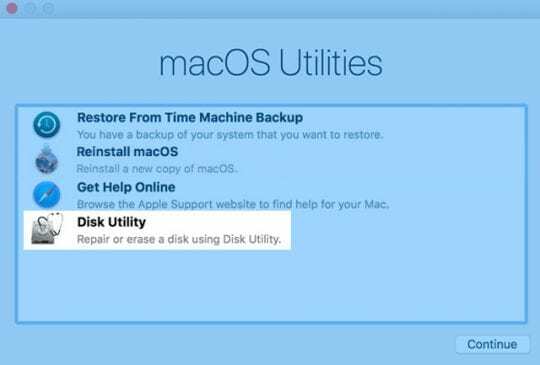 1 Disk Utility to the Rescue! 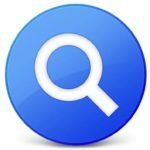 4 Mac Spotlight Search Crashing or Quitting After Entering Just A Few Letters? Disk Utility to the Rescue! 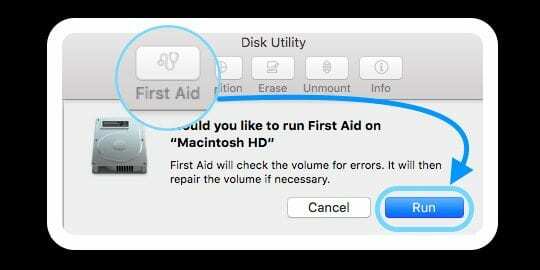 When First Aid completes, restart normally and see if Spotlight Search works! 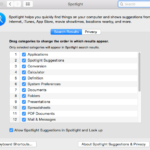 It is also important that you confirm your Spotlight Search preferences. Click on the Apple Menu at the top and choose System Preferences > Spotlight. Make sure that you are not excluding apps related to your search in your preferences here. You find all your apps on the search preferences tab. To re-index when using macOS Sierra or macOS High Sierra, click on the Privacy tab. Drag the folder or Disk that you want to re-index. You can also use the ‘+’ sign to browse through your MacBook and select the appropriate folders that you want to re-index. Confirm when you see the message for the folder exclusion from Spotlight results. Once the drive/folder has been added to the Privacy tab, click the Remove (-) button to remove it from the list. Quit System Preferences and Spotlight will start re-indexing this folder/drive. You can check if the re-indexing process is working by opening up your Activity Monitor. Open up a session of Activity Monitor from your Utility Folder and click on the CPU tab. In the process search field, type in ‘mdworker’. It will list all the spotlight related re-indexing processes. This will confirm that your re-indexing is proceeding forward. 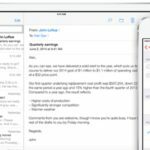 If you are facing Spotlight Search issues only with e-mail results, you may also consider re-building your mailboxes in Mail. To re-build, simply select the Mailbox folder on your Mail sidebar and choose Rebuild. 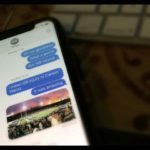 This can take some time depending on the number of messages and attachments that you have. When you are using IMAP or an Exchange account, your mailbox appears empty until the entire download is complete from the server. Mac Spotlight Search Crashing or Quitting After Entering Just A Few Letters? 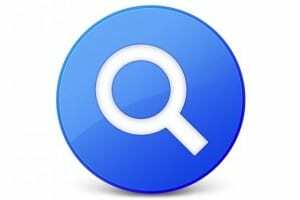 Some folks discover that Spotlight stops working after updating their macOS and crashes after just typing in a few letters into the search box. The search bar simply disappears after typing 2-4 letters or hitting the space bar. It just quits and won’t let you finish typing and never shows any search results! If this is your situation, here are a few things to try! Depending on what you are trying to search, sometimes the search results can be massive if you have a lot of data on your MacBook. One easy tip to narrow down the search results is to use specific metadata attribute in your search to limit the results. To only search for e-mails from Dave Miller, type in “Dave Miller kind: email.” This will only show you the results of your e-mail that mention Dave Miller. You can read about the various filter options that are available to you in the Apple Whitepaper here. The other tip that comes to mind pertains to battery drain issues. If your MacBook’s battery is exhibiting high drainage, you may want to turn off the spotlight search for all of your apps. This will go a long way to preserve the battery juice on your MacBook. We hope that you found this easy troubleshooting article helpful. 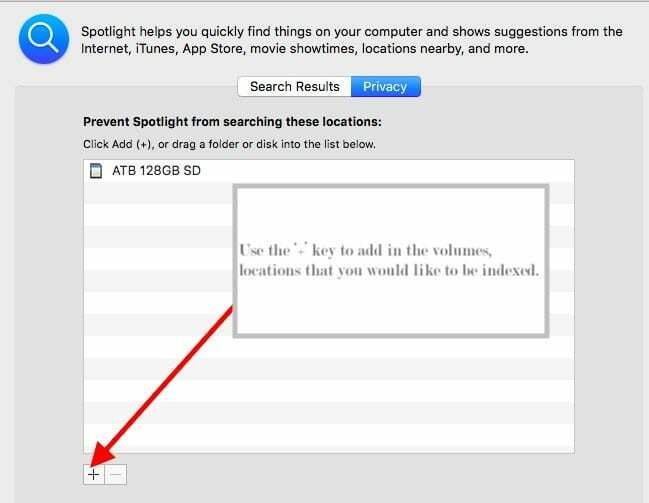 Please let us know in the comments below if you are facing any other issues with the Spotlight Search function on your MacBook. How can I enable it again and what the devil happened that it became so? Any help for this one out there? thanks in advance. I have a MacBook Pro running MacOS Sierra and I was having this problem when I tried to search something into the spotlight bar. I have unchecked Bookmarks & History box in Spotlight Search Results and now the problem is fixed! This just worked for me, too! Thank you–was driving me NUTS! Tal, Usually the re-indexing procedure does the work. For stubborn issues, try deleting com.apple.Spotlight.plist from ~/Library/Preferences, log out and then log back in. See if that works for you. I’ve tried all these steps including the sequence of terminal commands below. Nothing works. Any further advice from anyone? go to system preferences, spotlight, unselect “bookmarks and history”. It should work. FIXED IT! All I did was boot up in recovery mode, run Disk Utility, and run First Aid on my hard disk. When I rebooted, Spotlight search was working again. Awesome Curtis! Thanks for sharing what worked for you! 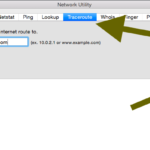 I have rebuilt my index 3 times, twice using the Spotlight Privacy pane as outlined in this article, and once via Terminal command. In each case, mdworker does a ton of work. Once it’s done, the search problem still remains. In addition to getting the same sparse list of search results no matter what the search string is, the usual “Show All In Finder” or “See All In Finder” (I forget the exact text) at the bottom of the search results in the left pane is missing. Please find a solution for this; I’m tearing my hair out. Is there perhaps some way to manually delete the index data and/or associated plist files, then rebuild the index? I’m at my wit’s end. I have the same problem. try all the stuff and I’m not getting it.